Safety behind the wheel As a matter of fact, staying safe on the road needs several different visual capabilities – for example, the ability to see both near and far ahead, peripheral vision, seeing in limited light and color vision, to name some examples. Distance vision is very important because of how it helps you to observe the road in front and see any danger that might come up. Being able to see ahead gives you more time to respond quickly and stop any mishaps that could take place. On the other hand, if you lack strong distance vision then there's a chance you may not see the dangers until it's too late. You also need peripheral or side vision, which enables you see either side of your car, which is crucial to spot other cars, animals and pedestrians without having to even glance away from the road ahead. Strong peripheral vision is also crucial when you're switching lanes and making turns. Make sure you know how to use both your side and rearview mirrors. Make sure they're angled properly, to help your view of the road to your sides and back. Road safety is also highly dependent on good depth perception. It helps you evaluate distances accurately in crowded driving conditions, switch lanes and pass other vehicles. Accurate depth perception requires proper sight in both eyes. If one lacks proper vision in one eye, it's advised to consult with an optometrist to determine whether it is safe for you to drive. It may be suggested that you refrain from driving until a solution is found to correct your vision. Near vision focusing or being able to accommodate effectively also plays an important role when driving. This is the capability to move your focus from a view ahead to something close, such as from the distance ahead of you to the speedometer. If you've recently hit middle-age it's common for you to have increasing difficulty with near vision, and it's normal to require reading glasses or another corrective device to make it easier to see objects up close. 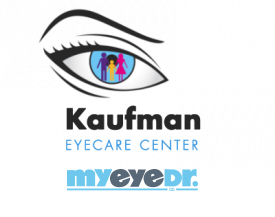 Call your optometrist to talk about the best option. Try not to hold off until you renew or apply for your driver's license to have an eye exam. You don't want to endanger your life or those of other people on the road! If you suspect your eyesight isn't up to par, visit your optometrist, and get a thorough eye exam sooner rather than later.